"Mendelssohn's Italian Symphony No.4 drew the finest play of the night... Jordania had real thrust and drew a fine ovation." "Jordania kept great pace and fine control... a charming and atmosphere performance... Jordania gave poise by his judicious use of rubato and delayed first beats." "The union and the blend heard from the ensemble was a sound which has not before been evoked from their insides. What an excitement and depth was brought to light by this fine Maestro." "Jordania demonstrates quite a unique and distinctive manner of conducting and a mature professionalism."... "He easily bends the musicians of the orchestra to his intentions, hands - thus leads." "The clear and stylistically convincing expression of musical ideas, the huge musical scope, the emotional depth combined with complex intellect - all such qualities make him an interpreter of refined and impeccable musical taste." Eri Klas, Conductor (Estonia): "I am very happy to see that the orchestra sounded so balanced and creative thanks to musical skill of conductor G. Jordania. He has very expressive and beautiful conducting manner." Born in Tbilisi, Republic of Georgia, Giorgi Jordania was surrounded by a musical family. He performed his first piano recital at the age of 10, and continued his training at the highest level. After finishing his studies in Tbilisi Conservatory and the Leningrad Conservatory in 1989, Jordania continued his education in the United States. Under the tutelage of his father, renowned conductor Vakhtang Jordania, he completed his Master's Degree at the University of Tennessee at Chattanooga. He worked as an assistant conductor while at the University, conducting numerous symphony concerts. On July 4, 1990, he made his professional American debut with the Chattanooga Symphony, before a crowd of 30, 000 people. Upon his return to Georgia, Jordania started to work as a conductor of the Tbilisi State Academic Theatre of Opera and Ballet. 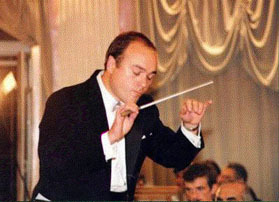 In 1991, after tours of Georgia and the Ukraine, he was appointed Principal Guest Conductor of the Kharkov State Academic Theatre as well as the Kharkov Philharmonic Orchestra. In 1995, his debut with the Russian Federal Orchestra in Moscow was hailed as a great success and he was immediately appointed their Principal Guest Conductor. This was the beginning of his international recognition. His guest engagements have included appearances with major orchestras in, among other places, the United States, Romania, South Korea and South Africa. 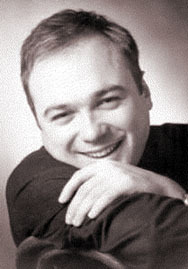 Since 1999, Giorgi Jordania has served as Chief Conductor of the Georgian State Chamber Orchestra. In April of 2000, with the support of then President of Georgia, Edward Shevardnadze, Maestro Jordania, together with the renowned violinist, Liana Issakadze, took the GSCO to an unprecedented Easter tour - Pilgrimage from Europe to Jerusalem” visiting major European and Middle Eastern cities with Christian history. After that, Jordania, together with the GSCO began regularly touring throughout Europe, appearing in Germany, France, Netherlands, Belgium, Switzerland, Spain, etc. They also performed charitable concerts touring throughout their native Georgia, and for the Georgian community in Paris and Leville, France. In September 2001, Jordania was the first Grand Prize recipient of the "Vakhtang Jordania New Millennium International Conducting Competition" held in Kharkov, Ukraine. In December of 2001 he became a Laureate of the prestigious "State Prize of Georgia", the highest honor bestowed on artists living in the Republic of Georgia.